Category — Arie Luyendyk Jr.
Arie Luyendyk Jr. talks of growing up in and around racing as well as what it was like growing up in a racing family. Arie gives some good advice for those who are working to move up the ladder in Motorsports. He talks about driving different kinds of Formula Cars, A1GP Racing Cars, Indy Lights and Endurance Road Racing. Arie discusses some of the influences in addition to his father as he followed others in Auto Racing such as Juan Pablo Montoya and Alex Zanardi. He also discusses getting advice from his father, a two time Indy 500 winner and Daytona 24 Hours winner as well as Pancho Carter and Rick Mears. 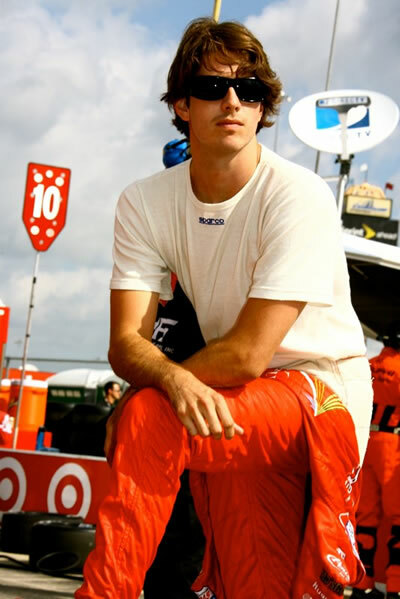 When this interview with Arie Luyendyk Jr. took place he was still working on some racing deals for the 2010 Motorsport season. It was just recently announced that he has signed with Andersen Racing for the 2010 Firestone Freedom 100 Firestone Indy Lights at the famous yard of Bricks just prior to the running of this years Indianapolis 500 Mile Race.